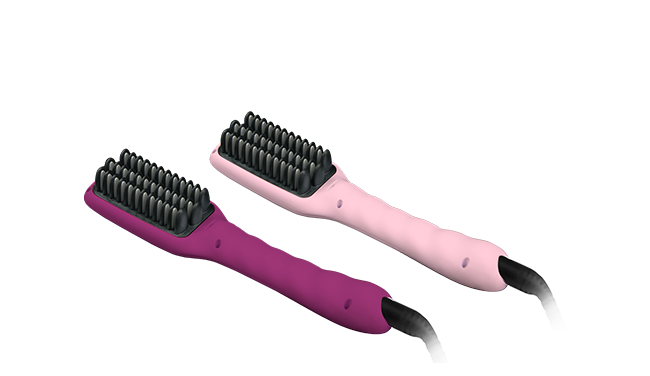 The e-styler jet – hair straightener to go! Perfect styling on the go! The e-styler jet is our mobile version of the classic e-styler. but the range of functions is the same –you don’t need to make any compromise! 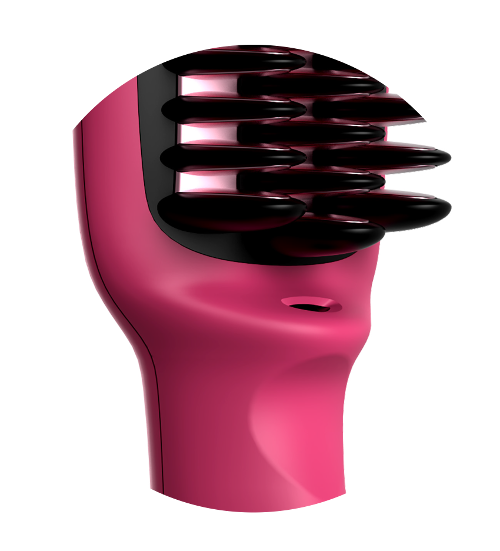 through your hair and your hair will be straightened. 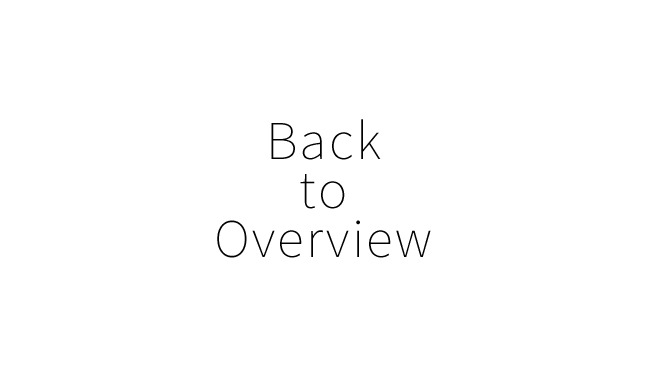 That makes styling super easy and fast, even if you’re in a hurry. The e-styler jet is our mobile version of the classic e-styler. 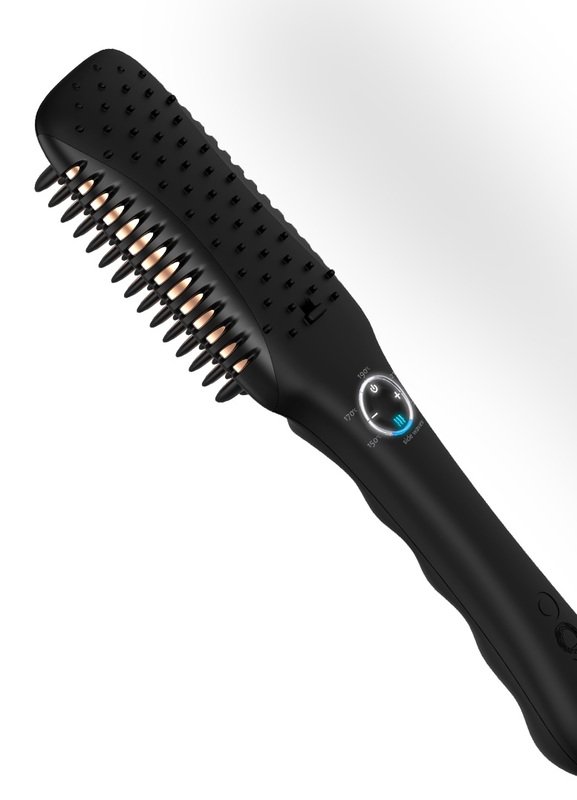 25% smaller and 35% lighter than our e-styler classic – this is a huge advantage of our new e-styler jet. It’s smaller and fits better in every suitcase but the range of functions is the same –you don’t need to make any compromise!  The straightening process is unbelieveable easy and comfortable, too – just brush through your hair and your hair will be straightened. That makes styling super easy and fast, even if you’re in a hurry. 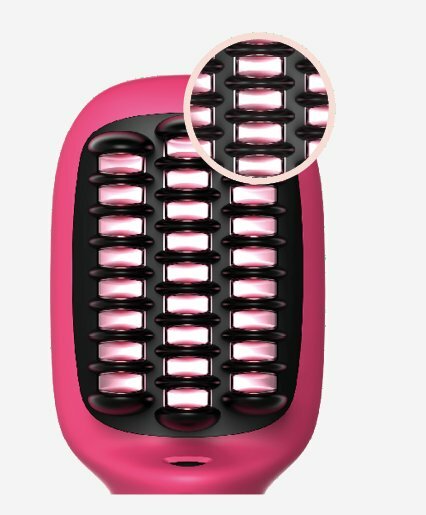 Our multi-function button with its ergonomic design makes handling with one finger possible. 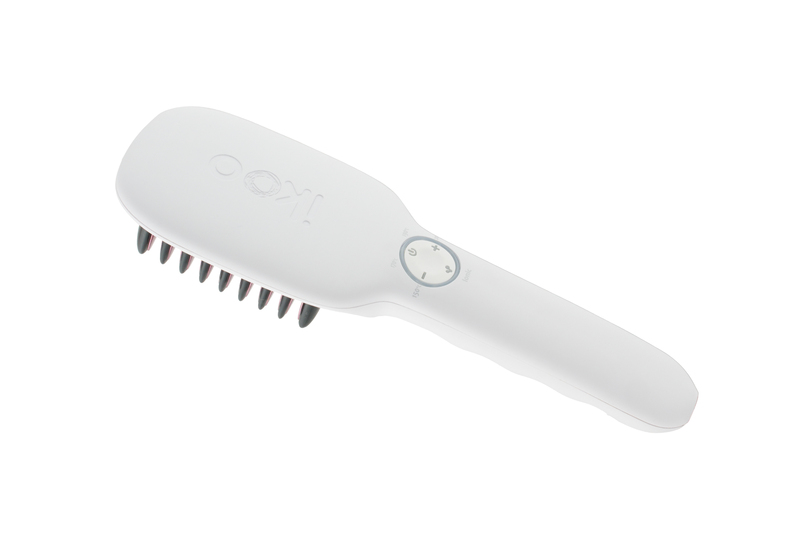 The ionic function is always ready to be activated, makes your hair smooth and avoids fly aways and fliss. Our patented brush panel gets to the selected heat level. When it is warmed up, you can instantly start with brushing your hair straight. Your hair will be styled in just a move, thanks to the brush panel! 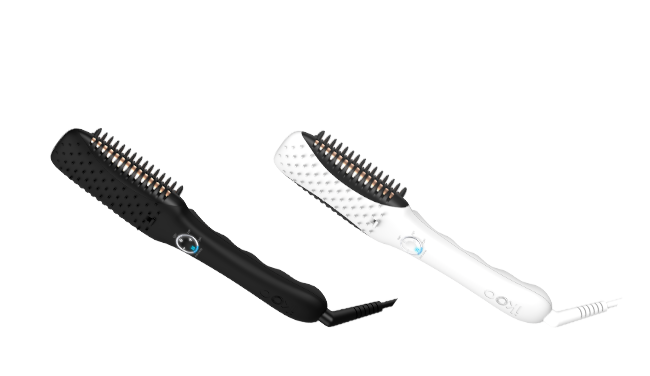 The ionic function we used for the e-styler jet is improved with the help of customer reviews and experts. 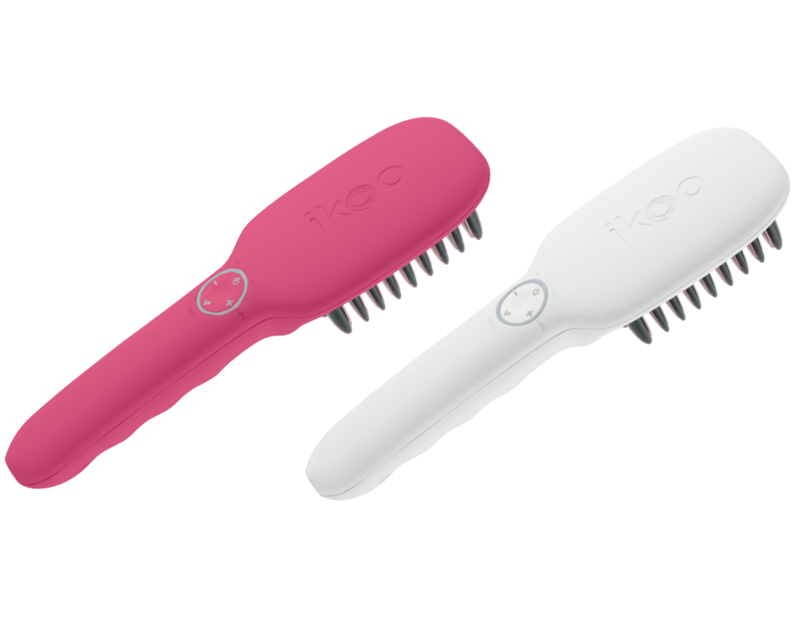 This function makes your hair healthier, more beautiful and makes your hair shiny and silky.